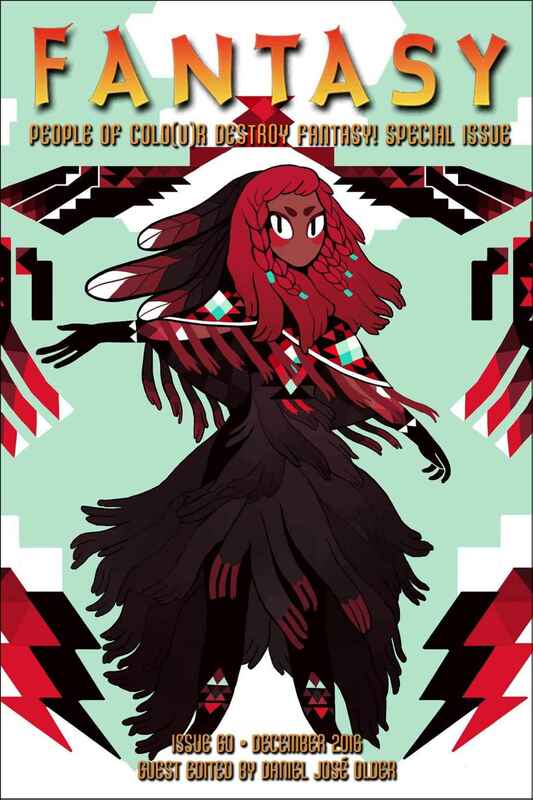 "Black, Their Regalia," by Darcie Little Badger [bio] (edited by Daniel José Older), appeared in Fantasy Magazine issue 60, published on December 1, 2016. Pro: The best part of this story is the characters of the three "siblings" and the matter-of-fact way they cope with whatever happens to them. When their appeal for black clothing draws nothing but a pair of black socks and an offer to DJ "your plague prom," they just redraft it and try again. Up until the summoning dance, the world of the plague and the camp comes across as very real. Con: Their victory over the plague comes too easily and at zero cost. This makes the ending feel unreal.